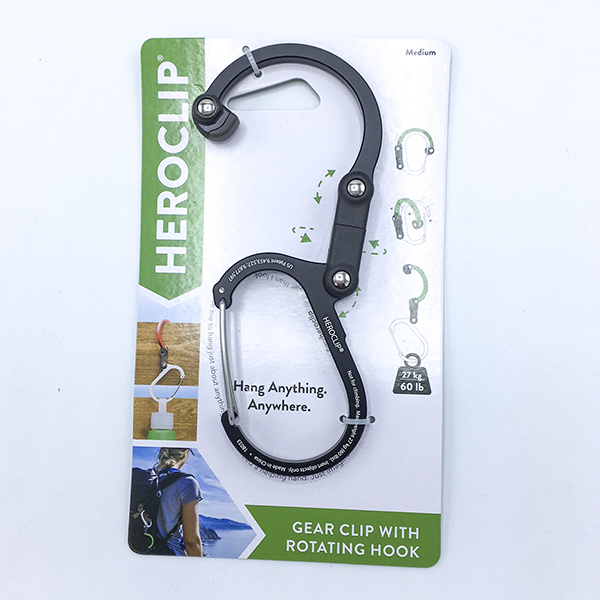 Rotating gear hook for "hanging anything anywhere." 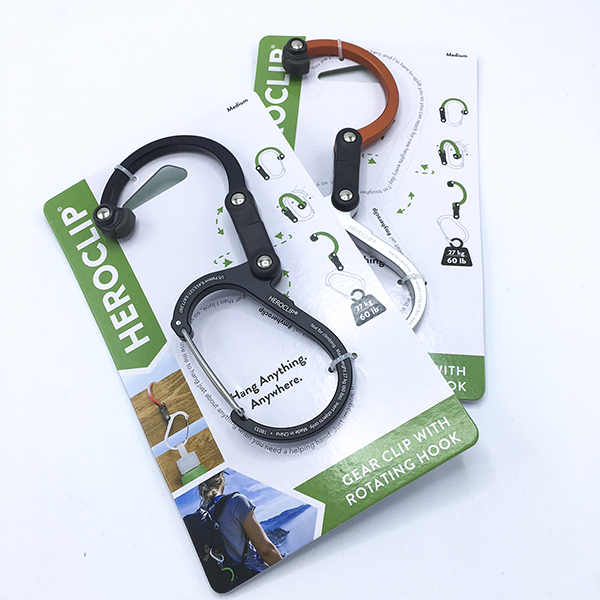 The Heroclip, made from aircraft-grade aluminum, has a rubber end cap that allows it hook to grab onto many surfaces. 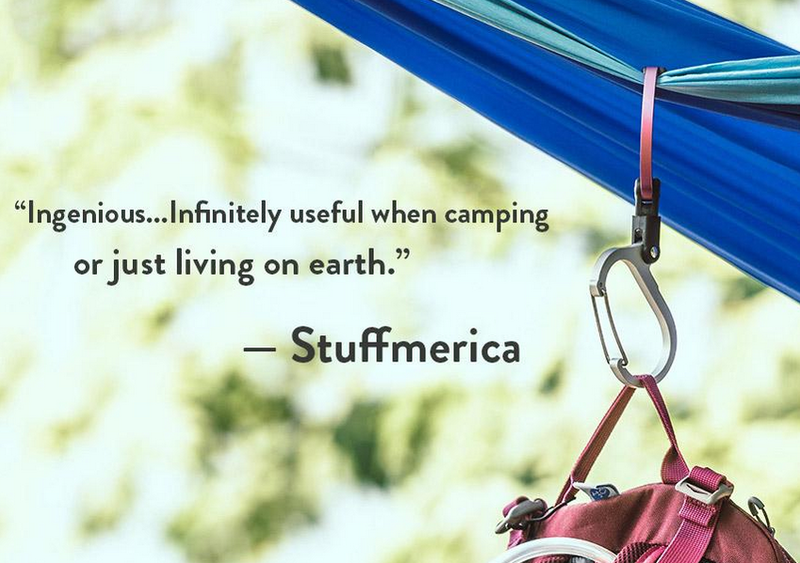 It folds up and down at the waist and rotates 360º and there is a wide-mouth carabiner to hang things. 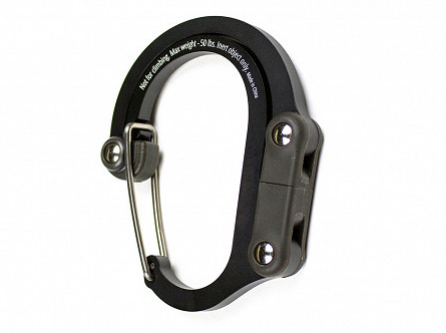 Weight limit 60 pounds.